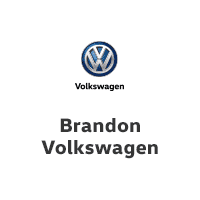 At Brandon Volkswagen, we pride ourselves on the trusted service and transparent sales we offer our customers. This dedication to satisfying drivers from Tampa and beyond is taken one step further through our Extended Benefits Program — the Brandon Volkswagen Advantage! What is this unique program? When you shop for a new car at our Volkswagen dealership in Tampa, FL, you’ll enjoy an impressive array of exclusive features and benefits that protect and prolong the life of your VW vehicle. Whether you’re looking for interior and exterior services or you need roadside assistance and ID theft protection down the line, our Brandon VW Advantage Program is here for both you and your Volkswagen. Visit us today to take advantage of the Extended Benefits Program at Brandon Volkswagen! You’ll get the most value for your money. Guaranteed.